In today’s blog post I am going to be sharing with you what happened on our first whole day in New York. We woke up around 7am as we were used to getting up at that time on the ship. We decided to go to this diner that my mum was recommended as it was also one of the things on her list that she wanted to do. Luckily it was right outside our hotel so it was easy for us to find rather than navigating ourselves around NYC. 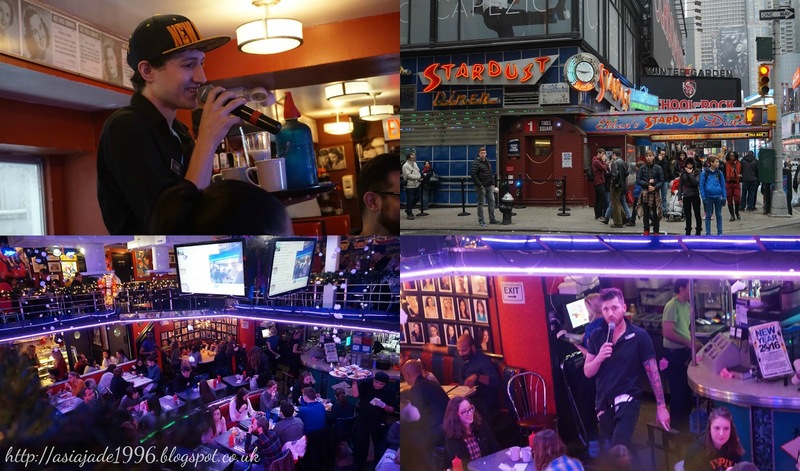 This particular diner was well known because all the waiters and waitresses wanted to work on Broadway. This was a stepping stone for them in a way as the tips that are put in a specific bucket go towards singing & acting lessons. The way that it works is you go into the restaurant and sit down like normal, order food and then eat your food. However there is never a silent moment in the diner as all of the waiters/waitresses take turns singing a song. This can be anything from Frozen to Grease I really loved it as it was a lot different than a normal restaurant. The only thing I would say is that it is very loud and not for those who want a quiet meal!! After breakfast we headed on down to Times Square to do a bit of shopping where I picked up my friends requested beauty products from Sephora. We then started to walk towards Macy’s as that is one of the things my Nan wanted to do. We made a pit stop at Pret A Manger on the way where I had a well deserved hot chocolate. 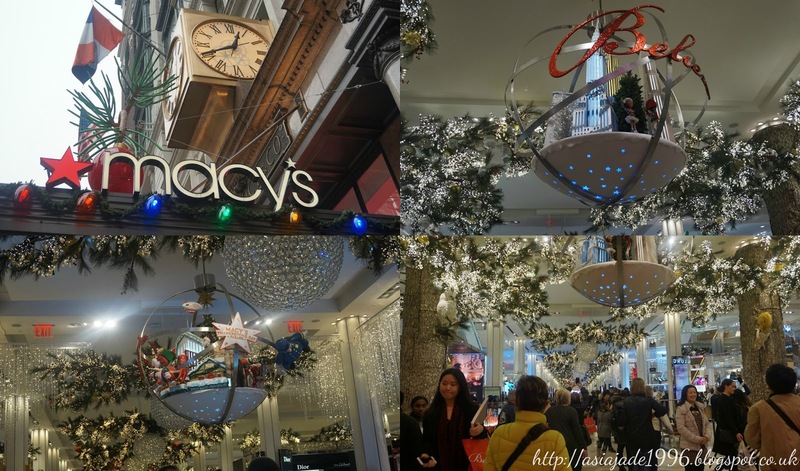 Macy’s is very similar to John Lewis or Debenhams however there is this whole hype about Macy’s especially the one in New York City. I have to admit it wasn’t as amazing as I had expected the bottom floor was filled with a lot of luxury brands such as Louis Vuitton, Chanel, Dior, Ralph Lauren etc…But I figured out as you explore each floor of the store the further up you go the more run down it looked. It was also very crowded when we went as it was only a few days before Christmas. Another downside would be that there wasn’t many places to sit down which isn’t a problem for me but for my Nan and Mum they like to have a rest for a few minutes sometimes. We then headed on over to Victoria Secret where I bought a few things for my cousins as Christmas/Birthday presents. My Nan also bought me a perfume set as a Christmas gift which was nice as it meant that I would have something to open on Christmas day itself. After that we caught a taxi back to our hotel where we picked up some snacks and had a relaxing afternoon in our room. I think that evening we didn’t do much as we were all tired. My Nan and I went to go and pick up KFC for us to eat which was yummy but the portions were massive. I stayed in bed and watched some films as I wasn’t feeling very well that evening whilst my Nan and Mum went for a walk. That is pretty much all we did on the first day which doesn’t sound like much but we were all tired from the walk to Macy’s which was quite a lot considering my Nan can’t walk that fast. Stay tuned for Part 7 which is Chrismas Eve when we did things a lot more exciting in this part. "Christmas Holiday Part 5 (New York City)"
"Video | What I Got For Christmas 2015"